NYMP is founded in 2016 by a group of Mandarin-speaking artists and psychologists who value the power of their mother tongue. New York Mandarin Playback performs for people of all ages, genders, classes and religions. We could use Mandarin Chinese or English as the primary language. 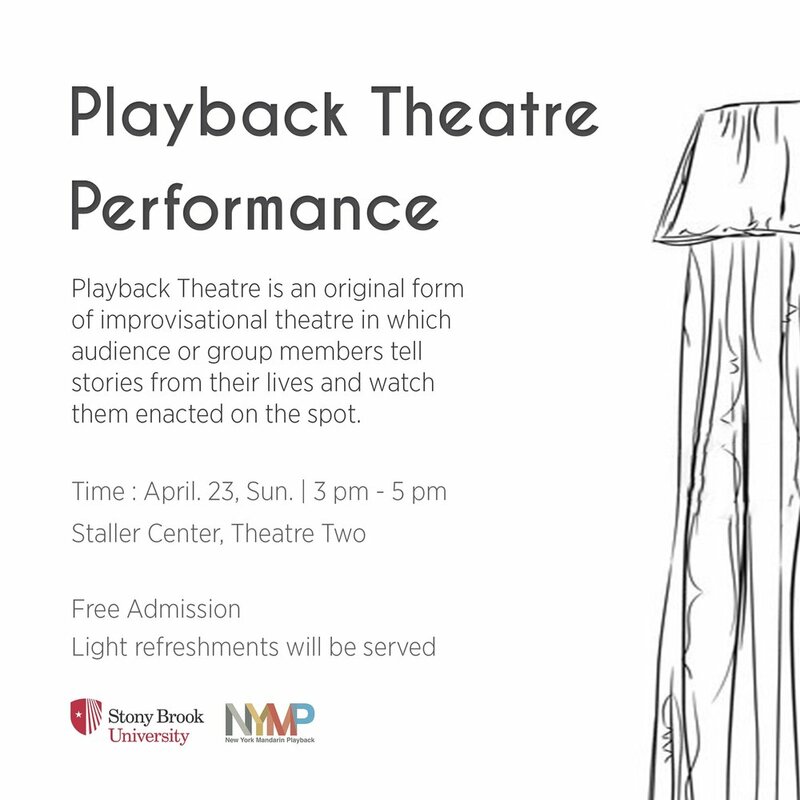 Playback Theatre is theatre based on the spontaneous enactment of personal stories. It was developed by Jonathan Fox and Jo Salas and other members of the original Playback Theatre company in New York in 1975. It is an original form of improvisational theatre in which audiences or group members tell stories from their lives and watch them enacting on the spot. Playback Theatre is a beautiful form of art, at the same time, a powerful tool to open up conversations and build connections. As a group with professional backgrounds in theatre and psychology, they wish to put their specialties into serving the local Mandarin community and help the others. In New York, those who share the same language also share a lot of similar experience, desires, and anxieties. Unfortunately, more often than not, they lack opportunities and tools to share their feelings, support each other and build a strong community. NYMP performs for people of all ages, genders, classes and religions. We could use Mandarin Chinese or English as the primary language. A Playback performance runs from 30 to 90 minutes for an ideal audience size between 35 to 100 people. The actors act out 8 to 15 stories that the audience shared using different forms. Some stories may be very short and some could be relatively long.